You get to use a golf tee 18 times during around. That’s 18 times you get to have a perfect lie and there are no excuses for bad shots. Though we take tees for granted and may use whatever we grab from our bag or is lying on the ground, choosing the best golf tee can help you gain distance off the tee and shoot lower scores. 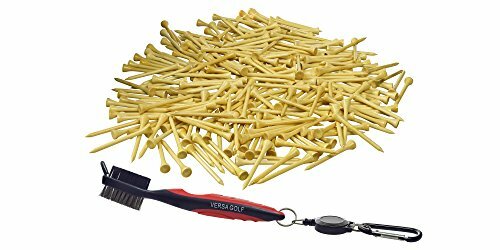 Most golfers aren’t aware of all the different golf tees available. 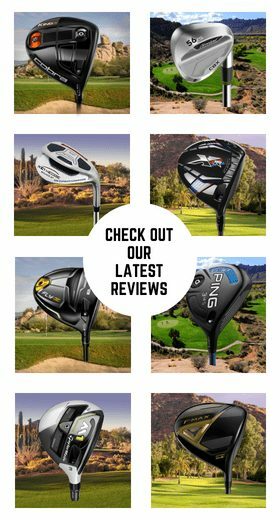 While golf tee technology hasn’t quite evolved the way driver technology has, there are many options out there that can help you play better, have more fun, and outdrive your buddy. Reinforced ribs on shaft add durability and resistance. 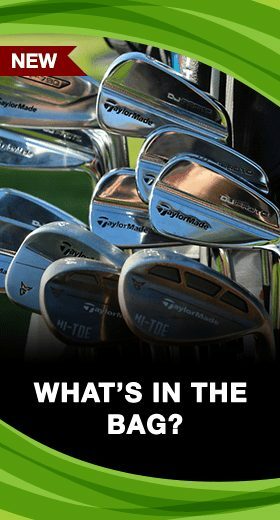 Why Do You Use a Golf Tee? Tees are as close as you can legally come to cheating in golf. At the beginning of every hole, you are allowed to choose your desired spot within the tee markers and elevate the ball off the ground creating the perfect lie. Teeing the ball off the ground is a must when using a driver as you’re trying to catch the ball on the upswing. When teeing off with irons, having the ball elevated lessens the chances you’ll hit it thin or fat. 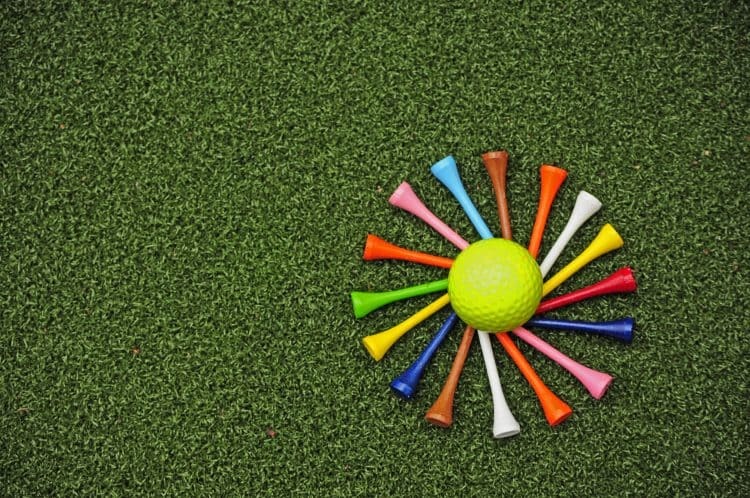 Golf tee lengths generally vary from between 2 ¼” to 4.” Choosing the right tee length ultimately comes down to personal preference but as a general rule of thumb, if you’re looking for maximum length longer tees are preferable and shorter tees can help with accuracy. The vast majority of golf tees are made of wood. Though there is nothing technologically impressive about wood tees, they come in different lengths and can be customized just about any way you want. Whether you prefer a specific color, want to put your company’s name on them or personalize them, wood tees are fun and make the perfect inexpensive gift for any golfer. These tees are becoming increasingly popular for a couple of reasons. First, these unbreakable tees tend to last longer than wood tees. Secondly, these tees are cheaper on average than wood tees because bamboo is abundant, grows faster, and can be easily harvested. Lastly, these tees are maintenance friendly as they dull mower blades much more slowly and rarely cause jams. Plastic tees have become increasingly popular in recent years. Available in various lengths and colors, there are just as many options in these tees as there are in wood tees. These tees also come in zero restriction options that feature a prong design meant to reduce friction at impact. The main advantage of these tees is durability, for that they can last for hundreds of shots mitigating litter and cost. Rubber tees are most commonly found on driving ranges where mats are used. Rubber tees come in various lengths and can easily be switched out from the mat. They are great for practice as they don’t break and cost next to nothing. Standard tees are the choice of tee for most professional golfers. They are made of wood, available in lengths ranging from 2 ¼” to 4” and in any number of colors. Standard tees can easily be bought in bulk and customized however you desire. 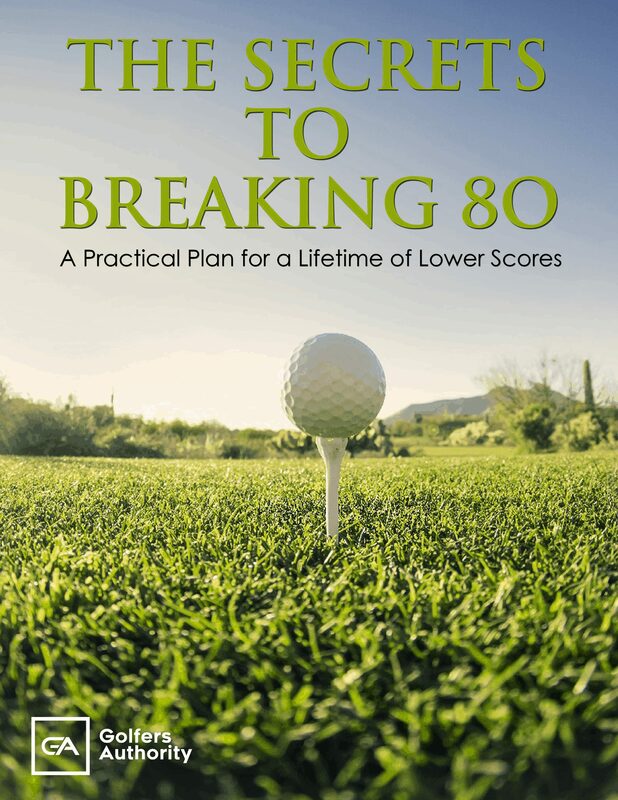 The miss for 90% of golfers is the dreaded slice. We’ve all seen it, that shot that starts out straight and curves violently right and lands short and right of our intended target. This shot causes lost distance, accuracy, and is especially detrimental off the tee. Thankfully, there are tee manufacturers working hard to mitigate the awful slice disease. Anti slice tees are designed like a standard tee with the added feature of flap that covers ¼ of the surface area of the ball. When using an anti-slice tee, tee the ball up like you normally would so that the flap covers the back of the ball where the club will make contact. While anti-slice tees may help reduce sidespin, they are non-conforming and can’t be used in competition. Brush tees became popular as soon as they hit the market. Designed with a plastic base on which bristles sit to support the ball, the brush tees come in a variety of length and color options. The bristles that support the ball virtually eliminate friction at impact as the club sweeps the ball off the tee. The result is added distance and reduced sidespin. 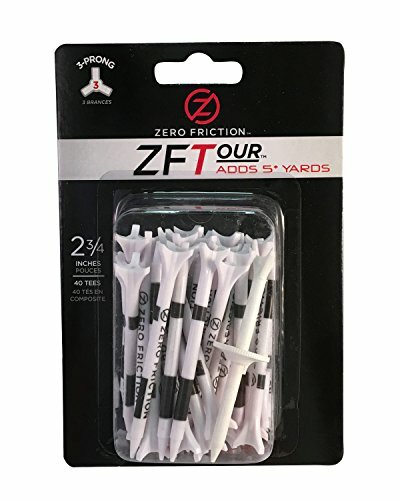 Zero friction golf tees are designed to do just what their name implies, reduce friction at impact for longer, straighter, and more consistent tee shots. Whereas standard tees are designed with a full-circumference cup at the top, zero friction tees have a prong design that minimizes the contact points with the golf ball as it sits on the tee. These tees are typically made out of plastic and are more durable than wood tees. Personalized golf tees are a favorite for any golfer. Available in bulk, the customizable options for personalized tees are virtually endless. Whether it’s your name, company logo, or favorite sports team, personalized wood tees can be ordered in any common length for a relatively low cost. Personalized tees are a great way to market your company or make a perfect holiday gift for any golfer. Below we have described and reviewed five of the best golf tees on the market today. 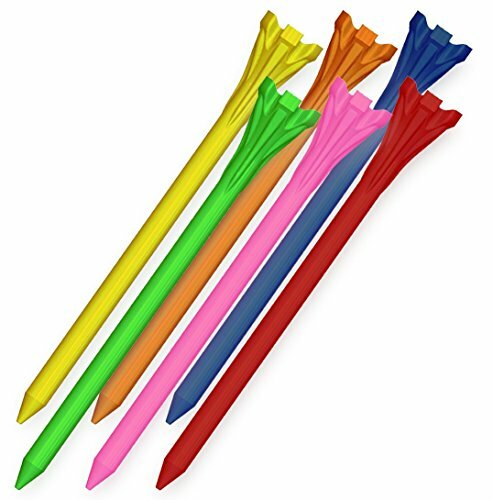 Available in 1”, 2 ¾”, and 3 ¼” lengths and a multitude of colors, these tees support the ball with three small prongs. By minimizing the contact points with the golf ball, the Zero Restriction design assists players with both distance and accuracy. 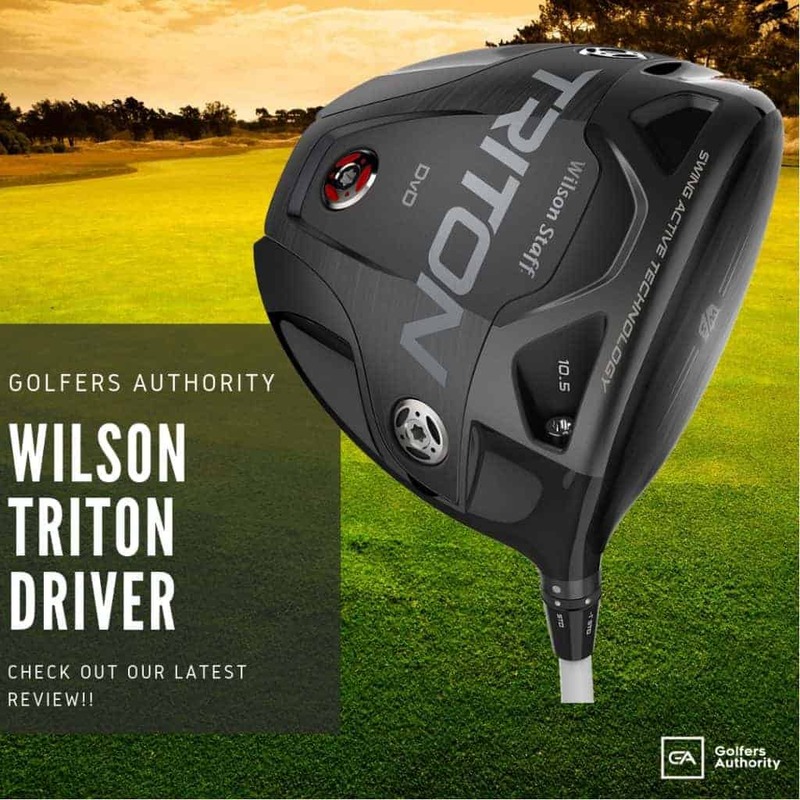 By virtually eliminating friction at impact, the three-prong design allows for maximum golf ball speed and reduces sidespin. 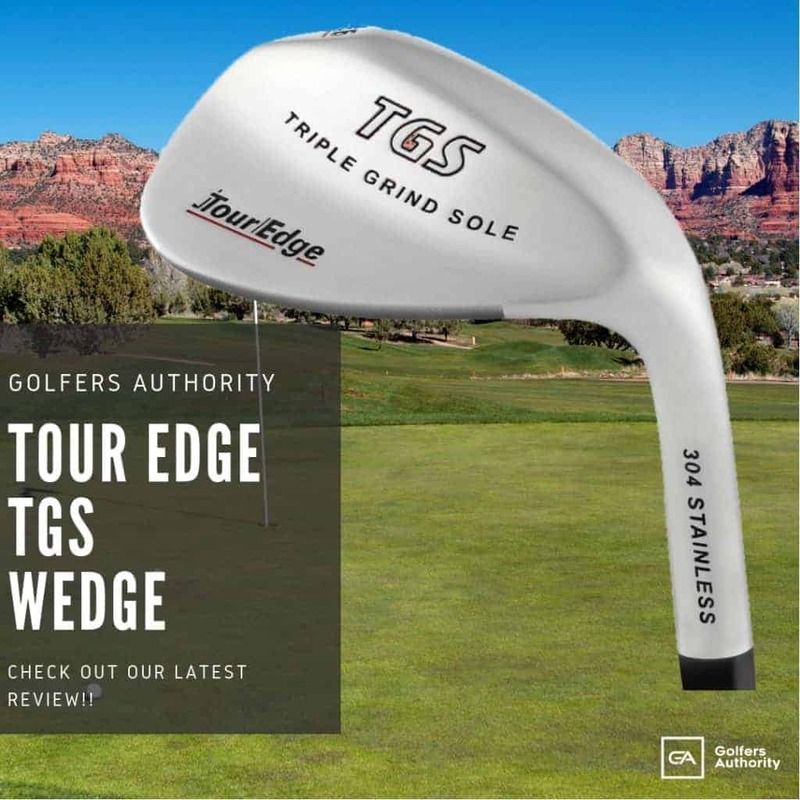 Credited with over 70 PGA Tour wins, this tee is proven to add a minimum of two yards on tee shots and increase accuracy for golfers of all levels. the softest gloves on the market and is perfect for the player looking for maximum feel. Made of biodegradable plastic, the Champ Zarma FLYtee is designed to help players increase distance and hit more accurate tee shots. A six-prong design balances the golf ball while minimizing friction. 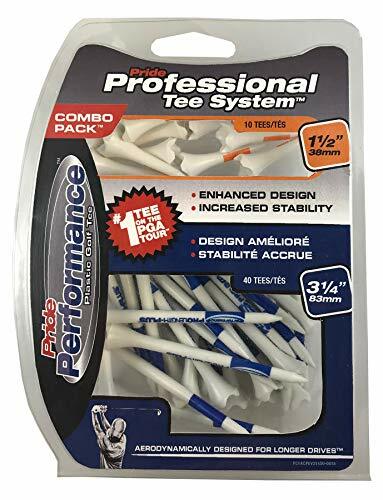 Key features in this tee include a shallow cup that adds distance, a reinforced shank that allows the CHAMP Zarma FLYtee to last up to five times longer than wood tees and MyHite dark color lines that allow you to perfectly measure the height of your tee every time. Available in lengths of 1 ½”, 2 ¾”, and 3 ¼,” these tees feature everything that makes a golf tee great. Low-resistance tips reduce spin for greater accuracy and distance. 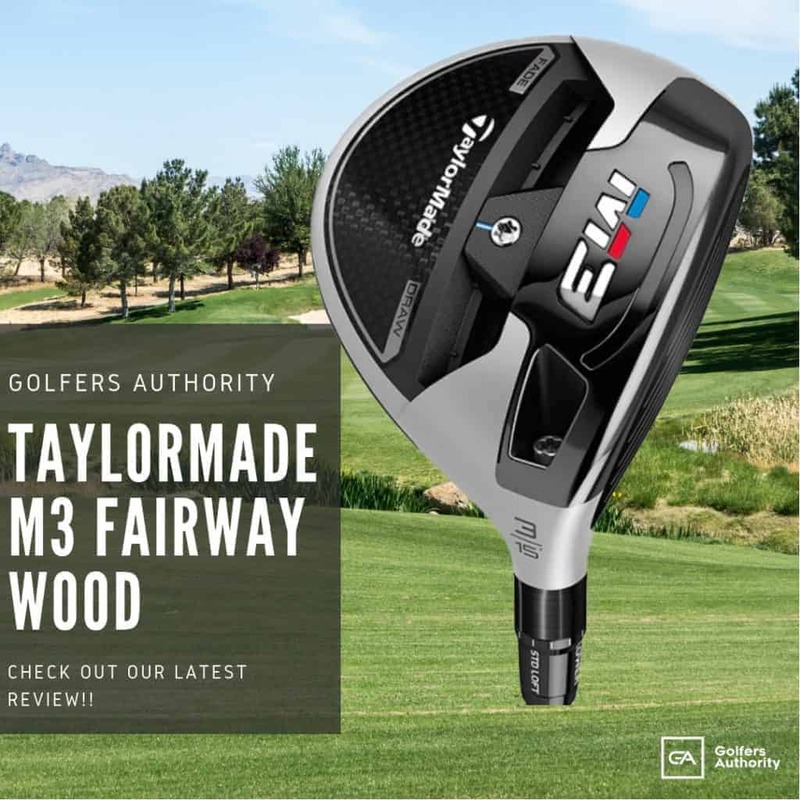 Each tee height is strategically designed with a club head size in mind–shorter tees are great for irons and hybrids while the longer two tees are meant for fairway woods and drivers. Solid colors on the bottom of the tee allow you to achieve optimal tee height consistently. Four More Yards tees are designed with an elastomer crown designed to flex at impact reducing friction for longer, more accurate drives. Through extensive testing this tee is proven to add four more yards than drives hit off a wood tee. 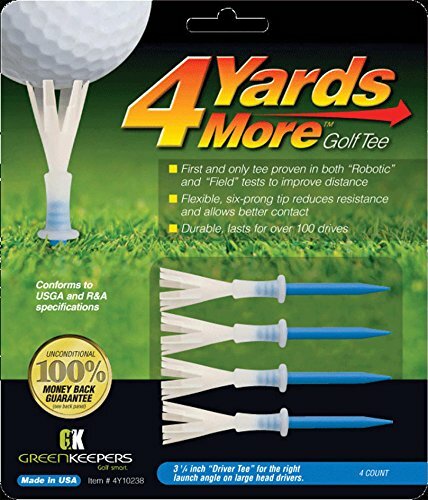 The Four More Yards tee is also guaranteed to last for 100+ shots meaning you’ll save money and keep tee boxes clean. At 3 ¼” inches long, Martini tees are perfect for big headed drivers of the modern era. 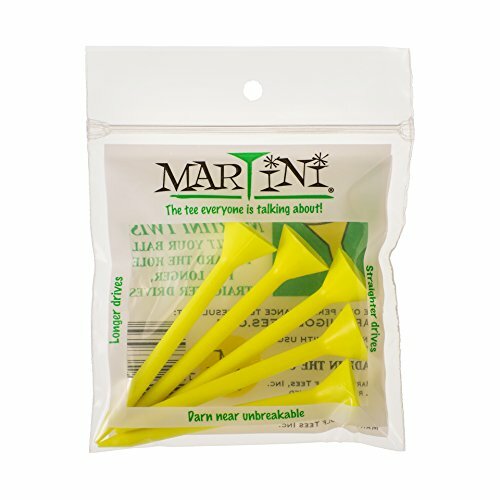 Made of a polymer resin blend, these unbreakable golf tees are extremely durable. Their bright colors are easy to spot meaning you’ll seldom lose your Martini tee. VersaGolf tees come in 2 3/4“ and are seven times stronger than wood tees. Available for purchase in 500 bulk, a one-time purchase is sure to last you for many seasons. Their natural color ensures you will never end up with colored paint or plastic on your clubface. 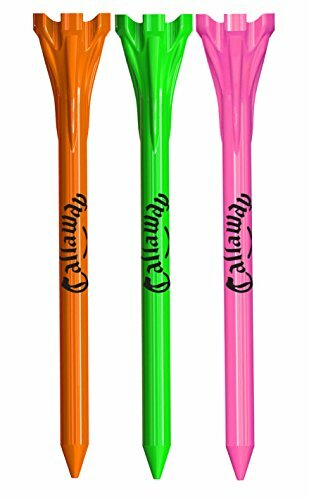 Callaway Performance tees are designed to help you hit more consistent drives than wood tees. The prong design on the crown limits the contact points with the ball reducing friction and sidespin for longer, straighter drives. Made of plastic, these tees will last longer than wood tees. The importance of golf tees is often overlooked as a piece of golf equipment. Because golf is the hardest game in the world, leaving anything to chance with your equipment cam prove costly. Golf tees are no exception. 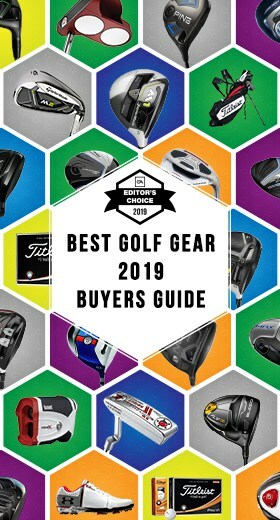 Next time you go to reach for a handful of the complimentary tees at your home course, stop and think if they are truly the best choice for you.